The President of Liberia is taking part in the AFRICA CEO FORUM on 26 and 27 March in Abidjan. H.E. 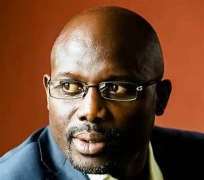 George Weah will present his strategy for reviving the economic development of his country. Since its first edition six years ago, the AFRICA CEO FORUM has become the most influential forum for Africa’s public-private dialogue. The election of George Weah as President of Liberia at the end of December 2017 raises tremendous hopes for the country’s economic re-emergence. This is an immense challenge and coupled with the expectations of Liberia’s young population it provides strong motivation for President Weah to meet with investors at the AFRICA CEO FORUM. Improving the business climate, upgrading basic infrastructure, restructuring health and education systems, flagship measures for young people, especially through sport – President Weah will share his strategy for laying the groundwork for Liberia’s economic transformation with over 1,200 business leaders, investors and decision-makers. One of the continent’s youngest Presidents, he will also recount his own unusual and inspiring life story: from the slums of Monrovia to the presidency of Liberia and, en route, Europe’s most famous football clubs. President Weah joins the growing list of African presidents who have attended previous editions of the Forum - those of Ghana, Côte d'Ivoire and Senegal, reaffirming the AFRICA CEO FORUM’s mission of being the most influential annual forum for public-private dialogue on the continent.